GTA 5 has ensured its positions as one of the best games in the industry. Because of a huge popularity and luck of the game, fans’ expectations are growing extremely rapidly and high. Fortunately, as latest rumors say, those expectations are going to be fulfilled with the new game – GTA 6. As GTA Online is showing a great success and freshness, there is a basis for expectations of new features to be introduced in GTA VI. We have already discussed some of them in a post about nice-to-have features, and now we are adding some more features according to the latest common talks. 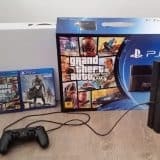 There are rumors that GTA 6 will have feature which allows to plan a robbery after the ending of a story line, in addition to that, it is expected to see a charming woman as the main character in the game, too. Also, a feature for swapping out the main cars in a game that would be taken to the safe houses as the main character cars in GTA V is expected to be added to GTA 6 as well. Another feature to be added – the ability to customize the appearance of the main character, also more realistic hunting experiences are expected. Rockstar Games company is constantly feeding fans with hints and teasing them with abstract remarks, such as “We have some ideas for GTA 6, but we don’t know yet how is it going to look like”. The next gen of the game is going to be playable on Xbox One, PC and PS4 platforms. 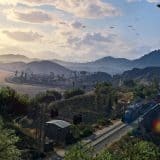 The main developer of Rockstar Games – company, which develops GTA games – has not officially denied or confirmed details of upcoming GTA VI, though the president of the company made a promise to the fans that every following game will include ideas and desired features of the fans in order to keep them engaged. The ambition of Rockstar Games is to move game to the next level, that’s why developers are working on crafting every detail in a really precise manner, especially on customization feature of every vehicle. Abilities like having children and family, buying real estate and owning pets, also a need to eat for survival are taken into consideration for the new game. 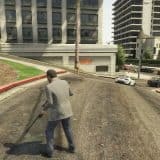 After the story line is done, finding a normal job or planning robberies as a criminal – options that are as well being thought about for GTA VI. Feel free to share your opinions and suggestions about the new features for GTA 6 in the comments section below.